EBC 3GD Series Sport rotors are dimpled and slotted and precision-machined using premium-quality castings. 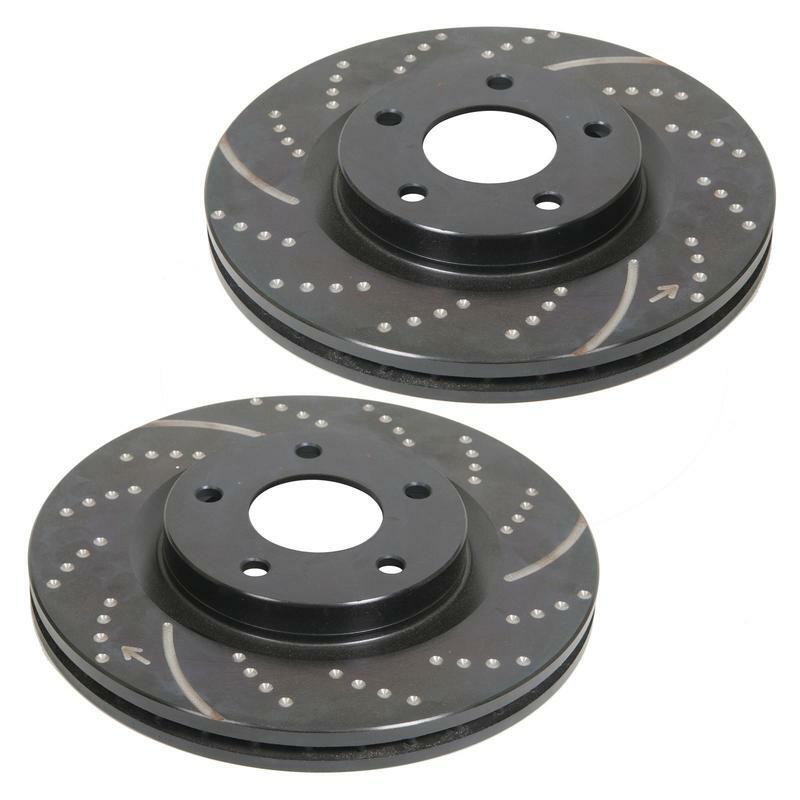 Designed with wide-aperture scraper slots and blind-drilled holes, these 3GD rotors draw cooler air in and reduce temperatures for greatly reduced brake fade. Plus, their dimpling helps them to avoid stress cracks. Able to expel dirt, dust, and gases, EBC Sport rotors also maintain flat and parallel pad wear for better pad contact and better braking. These high performance rotors are available in a sporty black GEOMET coated finish that not only looks great, but also prevents corrosion. Enhance the performance and looks of your car with EBC 3GD Series Sport rotors. Rotor Outside Diameter (in): 13.800 in.